Ever since popular battle royale FPS PlayerUnknown’s Battlegrounds left beta, there have been cries of ‘Fix The Game’ in all corners of the internet. Now, the game’s developer, BlueHole, has joined the ranks of those crying ‘Fix PUBG’, but in a different way altogether. Unlike players, streamers and, other content creators, who’ve been criticizing the game for its multitudinous bugs, the company has now launched a campaign which will focus on delivering the changes and improvements that its player base has been asking for. 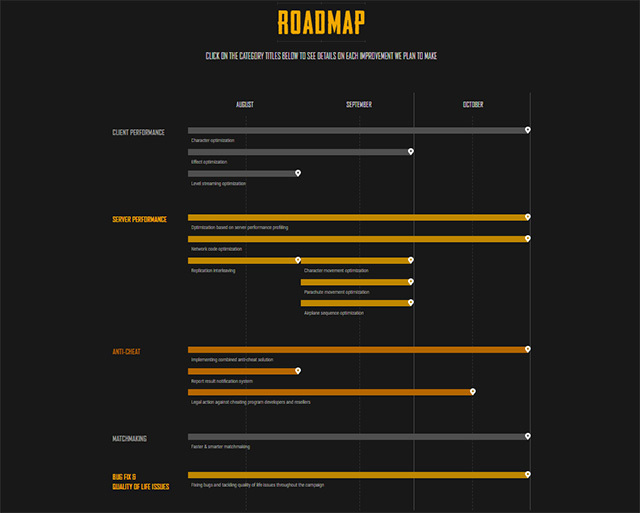 According to the linked website, ‘Fix PUBG’ is a “months-long campaign to deliver the changes and improvement that you’ve been asking for.” The website outlines a roadmap that provides specific details of the company’s plans, which will be regularly updated as the company tackles almost all major issues with the game. The company plans to tackle client performance issues, server performance issues, anti-cheat issues, matchmaking issues, along with bug fix and quality of life issues. All issues have been further detailed under each subheading, with their fix timelines indicated alongside. The website also provides a detailed fix log, which details each specific issues and highlights the company’s priorities and its vision behind the fix. It’s a rather impressive move on the company’s part, despite the fact that it has been repeatedly accused of ignoring performance issues and concentrating on releasing new content, which even introduces even more bugs to the game. We believe that the ‘Fix PUBG’ campaign will greatly improve the quality of the game, which is bound to attract more players to it. However, that will only be possible if the company sticks to its commitments over the coming months without faltering on the deadlines it has defined for itself.